The Khatumo State of Somalia was formed on 12 January 2012 in the historic town of Taleh where more than 400 delegates selected among the assembled 4,000 participants (including traditional leaders, clan elders, spiritual leaders, academicians and professionals, and a broad cross section of civil society from all around Sool, Sanag and Ayn (SSC) territories and the world gathered under an ancient fig tree known as ‘Berde Khatumo” to unanimously declare the formation of the autonomous Federal State of Khatumo. The Khatumo administration, constituted at this unprecedented and historic gathering in Somalia, has been composed since inception of the following three branches: The Council of Traditional Leaders (Golaha Dhaqanka); the Legislative Branch or Parliament; and the Executive Branch or government. The Council of traditional leaders is the highest authority and is the only body that can ratify any agreements that can impact on the existential issues facing the people of the Khatumo State of Somalia including any agreement with the Federal Government of Somalia, Somaliland, Puntland or any other entity. The Council also has the power to dissolve Parliament and call for new elections when there is a need for such an action. Since the collapse of the Somali central government in 1991, the Khatumo regions have been isolated and suffered depravation on account of being labeled as disputed territories by Somaliland and Puntland, which led to the inability of international community to help these regions to develop and grow economically. The illegal occupation by Somaliland of the capital of Khatumo State since 15 October 2007 has led to armed conflict and unnecessary blood-shed and loss of many lives on both sides, while Puntland continues to occupy by force some border towns where it collects taxes illegally without benefiting these areas. Somaliland and Puntland continue to deny the human rights and self-determination of the Khatumo populace; with claims of shared clan of inhabitants by Puntland, and unlawful colonial borders and history by Somaliland. Both claims are contrary to the expressed wishes of the people of Khatumo to set up an autonomous and self-governing State of Federal Somalia and would continue to fuel instability and insecurity. Recently, the President of the Khatumo administration, Dr. Galaydh, was sacked by The Council of traditional leaders and the majority of the Khatumo Parliament, after he joined—with few renegades– the secessionist Somaliland administration; a treasonous step which violates a Khatumo state cardinal principle to preserve the unity and integrity of Somalia. The Khatumo Councils replaced the disgraced former head of state administration with his Vice President, on a transitional basis until a congress could be organized. While the people of Khatumo would welcome constructive dialogue with neighboring administrations for conflict resolution and peaceful coexistence, such dialogue should not in any way contravene the Khatumo state founding principles of a self-governing and peaceful state in charge of its destiny and territories. The foundations of any talks with other entities should be blessed, supported and ratified by the Council of Traditional leaders. 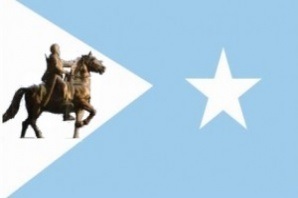 Moreover, the people of Khatumo have declared, as is reflected in the Constitution of the Khatumo State of Somalia, their conviction to be self-governing, in an autonomous state of Federal Somalia; and call on the Federal government of Somalia and International Community to protect this basic human right. Somaliland continues to use funds received from international donors to undermine the resolve of the Khatumo people to remain an integral part of the Somalia Republic. Its current attempts to involve the Khatumo regions in its clan-based elections scheduled for 13 November 2017 will be resisted by all legitimate means. Somaliland will be solely responsible for any instability resulting from such callous actions. The Council of traditions leaders has called for a Khatumo state-wide conference in which elected representatives will determine the future destiny of the area and its populace, and are to announce the time and venue of the conference within the next few weeks. The Khatumo Advisory Panel supports the Council of Traditional leaders in its efforts to defend the basic human right of the people of Khatumo and the achievement of their noble aspirations. Also, the Panel calls on the people of Khatumo territories to boycott the sham elections of the separatist Somaliland Administration. Finally, the Panel declares that the on-going transgression on Khatumo should be brought to an end, and that the inalienable rights of the people of Khatumo to live in peace and in charge of their destiny be supported and respected by all aspiring for tranquility and stability in the Horn of Africa.